SOME TV dramas divide opinion more than most. White Heat appears to have fallen into that category over the last six weeks. I almost gave up on this BBC2 series after the second episode. And am now very glad I didn’t. Tonight’s (Thursday April 12) final hour repays the investment viewers have put in to the previous five. Bringing to a close the story of seven friends from the 1960s to the present day. We discover exactly what is inside that safe. And the identity of the person who has died. Created by Paula Milne, White Heat was far from perfect. But is destined to live long in my memory. In the end, I loved it. Mainly due to the performances of Sam Claflin (Jack), Claire Foy (Charlotte), David Gyasi (Victor), MyAnna Buring (Lilly), Lee Ingleby (Alan), Reece Ritchie (Jay) and Jessica Gunning (Orla). 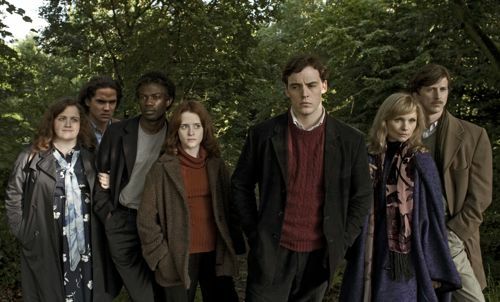 The characters played in the present day by Michael Kitchen (Jack), Juliet Stevenson (Charlotte), Hugh Quarshie (Victor), Lindsay Duncan (Lilly), Paul Copley (Alan), Ramon Tikaram (Jay) and Sorcha Cusack (Orla). 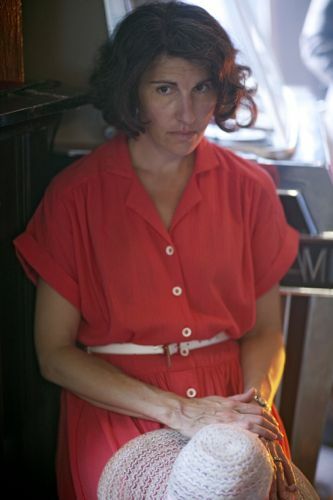 With a special mention for Tamsin Greig as Charlotte’s tortured mother Beth. I’m not sure the obvious comparison with Our Friends In The North did the drama any favours. Aside from ensuring plenty of publicity ahead of episode one. 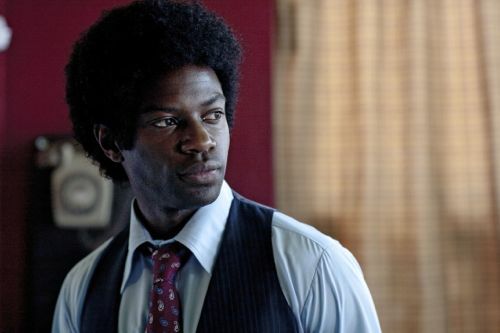 Do the mixed reviews for White Heat mean we have lost our appetite for slow burn television drama? With the story and characters given time to breathe, allowing viewers space to think for themselves? Or did you just not rate this “epic” drama? Whether you’re a fan of White Heat or not, I’d like to hear your opinion via the comment box at the bottom of this blog. But first, let’s celebrate the final episode with a few pics. Sam Claflin as Jack and Claire Foy as Charlotte. Posted in News and tagged BBC Drama, Claire Foy, David Gyasi, Hugh Quarshie, Jessica Gunning, Juliet Stevenson, Lee Ingleby, Lindsay Duncan, Michael Kitchen, MyAnna Buring, Paul Copley, Paula Milne, Ramon Tikaram, Reece Ritchie, Sam Claflin, Sorcha Cusack, Tamsin Greig, White Heat. Bookmark the permalink. I totally agree! I watched first two eps and nearly didn’t bother with the third, I’m so glad I carried on watching. I love all the characters and their imperfections. I never saw our friends in the north so all that hype passed me by. 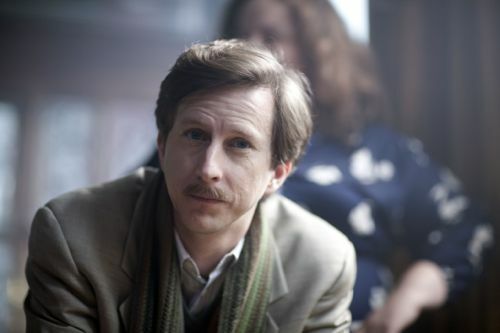 I watched it simply for the fact I watch everything with Lee Ingleby in 🙂 I can’t wait for tonights final ep but I know I’ll feel empty next week when it’s not on. I’ll definitely be ordering the DVD. Hello: James Armstrong again; I have not seeen this and it will probably take ages before it gets to north america if at all; here is my thinking for what it is worth: do you remember Jonathan Creek? Now there was a n excellent series and I would like to see it made again with Alan davies again in the title role. And what about ressurecting Robin Hood . That too was an excellent series. anybodty remeber one called Covington Cross? I waa watching Emerdale last night April eleventh and came to the conclusion it is so sordid that the only redeeming favtor in its favour is the excellent music theme. Is there something weong with British tv that all that can be produced is rubbish? before I get hung drawn and quartered I shall leave. I thought this was a truly brilliant drama , very well written and extremely well acted by all of the cast . Very deep at times with a truly compelling thread running throughout , very sad it has now concluded . Let’s hope more like this comes to our screen soon . Well done to all involved , for me this won’t be forgotten soon and we could all learn valuable life lessons from it . To sum up brilliant 10 out of 10 bbc . I absolutely loved this drama, I was hooked from the beginning. As a Dane this series reminded me of great Danish television dramas. I also give 10 out of 10, Thank you BBC. 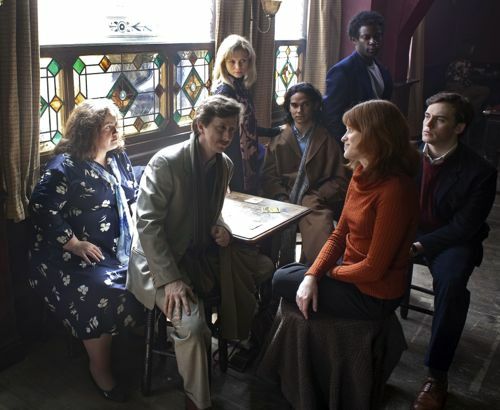 White heat was brilliant!thought it was jack who had died all the way through until he turned up in the last episode!such a gr8 story brought a lump to my throat at the end and it was good how it incorporated real news footage as the story progressed through the yrs and even spitting image!loved it! I loved this series and it is still in my thoughts 12 hours after watching the last powerful episode. Only the bbc could have given us such an intelligent and emotionally literate production. I want to watch it again now! Overall I thought this was an excellent series. The two criticisms I would make are 1) The way historical references (especially via TV, radio) were rammed in the viewer’s face, and 2) the way each character could be pigeon-holed (the gay guy, the black guy, etc. like the writer was trying to tick all the boxes). However this is far outweighed by the good stuff, I thought the performances by all seven actors were excellent, and the way the story was structured to keep you guessing as to who had died was nicely done. 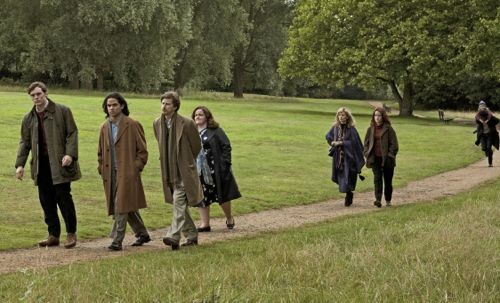 I really cared about what happened to them all and that’s always the sign of a good programme. The last few scenes were handled brilliantly, rather than going over the top and having a tearful Charlie and Eve making up, or Victor and Charlie getting back together, they just hinted at it in a subtle manner. My wife was actually moved to tears by the end, I think it speaks to all of us who have enduring friendships as our fortunes in life wax and wane over the years. I loved this drama from the word go. I think Paula Milne created a story with layers and meaning and I think that it seems some audiences don’t have the patience to wait for such layers and meaning to unravel and reveal. This to me was the joy of the programme and the skill in which Ms Milne grew and nurtured her characters, changed them and allowed us to watch and learn about them step by step was fantastic. The ending was wonderful, Juliet Stephenson’s final line and the meaning behind it was so emotionally satisfying. I know people found flaws but I just thoroughly enjoyed a truly well told story about human beings, you can’t beat such a thing. I couldn’t understand what she said after Victor asked her to meet up for coffee in two weeks time – I couldnt make out the words. could you help me? Thx izzy what do you think she meant by that? Lynda, “my cup runneth over” is what Victor said to Charlie in an earlier episode when they first got together”. When Charlie said it to Victor at the end of last episode she was telling him that she would be open to them getting back together. 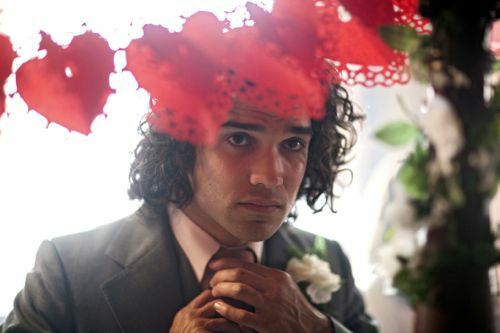 I Loved this too!Had a tear in my eye in the end!I didnt quite catch the end thou when Victor asked Charlie out for linch?what was her reply?and what do you think it meant? cel, Charlie said “my cup runneth over” which is what Victor said to her in an earlier episode when they first got together. Yes – I need help with this too – I couldnt quite make out the words. I loved it. At times it was clunky, yes, and why did the tv always have to show the crucial bits of news – but hey, that’s how we get the news. The characters were complex, the plotting deft and the build-up to that final climax was the most skilled I have ever – yes, ever – seen. There was so much silence, did you notice? That’s because, when the multiple crunches came, the meaning for every character was just there, it didn’t need to be spelt out. And you could sympathtise with every single one of the cast. When Charlotte said to Jay, ‘You can’t go on living a lie’, and Lily said to Charlotte, ‘That’s rich, coming from you,’ I agonised for what was about to fall on Charlotte’s head – but I also knew exactly why Lily said it – however vile it was – and I knew that in her circumstances I would have said it too. Congratulations to Paula Milne for a wonderful script with deep sub-text. Don’t get depressed by the early reviews. It was terrific, and I hope you’re already busy with the next. I thought the musical score – not the archive pop/rock music- was very good indeed; Andrew Johnston, composer, I found out – the piano piece was very evocative. Loved the series and always looked forward to the next episode to see how their lives were developing and their relationships with each other. Appreciated the thought provoking way that the series was made- left you time to draw your own conclusions before the next stage of the characters’ story(s) unravelled. Knew by the fifth episode who had died by elimination and the fact that she was the real tortured soul out of all of them-and for it to have been Jack would of been too obvious. Showed that through adversity, time, love, and heartbreak, true friendships never die. In some ways those friendships are always there to haunt us throughout out lives. Yes, it reminded of ‘Our Friends’ more than anything else…but still enjoyable. But, that bathroom mirror – we’d have killed for that in 1973, but I doubt any student dive would have had such up to date luxury back then. Also, when Lillie wanted to borrow the £3K Alan was driving a Merc – back then if you had a Merc you would almost certainly have had access to £3k without putting your house up as collateral. White Heat is the best thing I’ve seen on TV for a long time. The way the story revealed, the acting, the music – everything. We were allowed to understand the characters and see the ramifications of their decisions over the course of their lives. I loved the ending too. I hoped somehow older and wiser Jack would end up back with Claire but understood why she wanted Victor and was glad for him it looked like he’d get her back. Thought provoking and brilliant! Could someone please tell me how it ended? I watched all episodes up to mid way through episode 6 on iplayer. Having tried to watch the end tonight it is no longer on there! Just want to know how it all came together! Thanks! I had been watching the series on Iplayer. Missed the last episode and just foumd out it has now been removed from Iplayer. Really disappointed – I’d been really enjoying the series. Alas … I also missed the last episode and am searching to try to find a way to view it – or find out how it ended. I only became aware of White Heat two weeks ago when I came across a review, and have been playing catch-up ever since. I absolutely loved it, and being of similar age to the characters, and from the same part of UK it really resonated with me. Having watched all the early episodes well after they were screened, I didn’t appreciated that the last episode would suddenly disappear from the iplayer schedule. Is there any way of getting access to this episode now, or do I just have to write it off? I thought this was an incredibly moving and well-acted series. I fell in love with all of the characters and cared about them and their relationships. It was well-portrayed how actions that seem small and insignificant at the time can have such profound impacts on people. 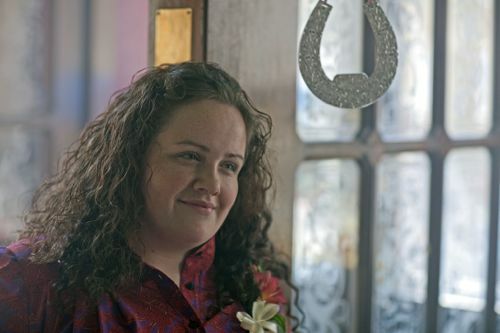 I was surprised that it was intended to be a secret until the end as to who had died – throughout every episode there were references to “she died in this room” and “it was 2 weeks before anyone found her”. As soon as the older versions of both Charlie and Lily had arrived it was clear that the only remaining female was Orla and that she had died. But I think this made it better as a series as you wonder why they had all lost contact with each other. I absolutely loved the series. Sadly, my husband deleted the last episode! Looks like I will have to go for the dvd option mentioned above!!! 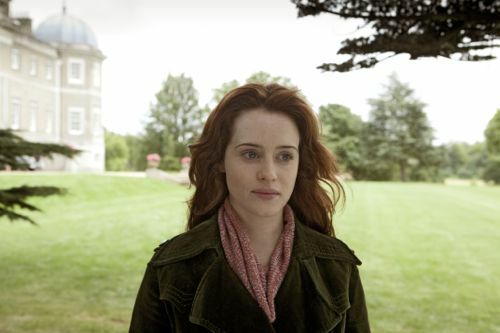 I really enjoyed the series, weill written, well produced and excellent acting especially from Sam Claflin and Claire Foy. There really wasn’t a bad performance. I have seen some comments on lack of research for such things as songs not being released at the time the events were set. To those few folk please get a life. It wasn’t a documentary for goodness sake. Well done Paula Milne, well done BBC. Hi – here’s Alison Leonard again with some wider reflections. I worked in London in the mid-1960s with four children left bereaved by their mother’s death from a botched back-street abortion. Should her story attempt to be ‘untouched by historical significance’? Would it have lessened her drama to avoid the terrible irony that, if she’d only waited a couple of years,she could have had a fully legal abortion and her children would have kept their mother? I’m writing a novel about 3 politically-engaged women, taking their stories from Greenham Common up to the Iraq war. I can imagine reviewers taking the same line: “This writer is so politically obsessed that she can’t let her characters speak without dragging politics into the frame.” But politics lives in the frame, in all our frames. Ask Alan Hollinghurst (Thatcher), ask Jeremy Deller (Orgreave). The beauty of Paula Milne’s achievement is that she sustained that vision over six huge episodes; she persuaded the BBC to stay with it (fund it, too); she inspired a whole production team not to lose faith – even in these politically dillusioned times. I just loved all of it – there is nothing that I would change right up to the end when everyone thought it was Jack that had died but it was Orla! Lovely stuff. Will watch again if given chance. BBC at its best. Theme music as well was brilliant. A truly well crafted production. Can someone please tell me did Charlotte leave with Victor in the last scene of the last episode. My taping stopped just as they were all working back to their cars, and I cannot find out what happened and desperately want to know. The series was fantastic and that would just make my day if they did. Hi Debbie – it looked like the moment had been lost as they were about to get into their cars. Then Victor called over to Charlotte and explained that he was going away for a few weeks and asked her to have lunch with him when he got back. She replied: “My cup runneth over” – an echo from earlier in the series and the very last line in the script. Charlotte smiled, Victor smiled…and so did Jack. Fantastic I knew it couldn’t end with them all just going their separate ways. 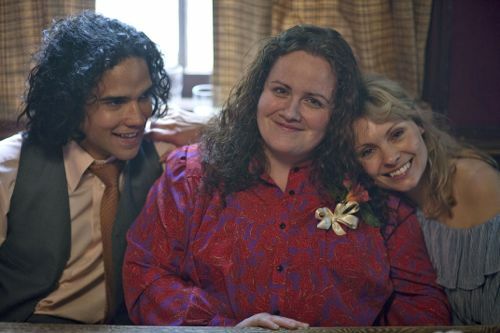 Wel done BBC foe such a fabulous drama and I do hope Paula Milne has another gem up her sleeve. Since I am in North America, I just saw the final episode last night. The only word for the entire series is WONDERFUL! Loved that the story took its time to tell each of the character’s stories which gave the viewer the opportunity to fell as if they really knew them and cared for each of them, even the mistakes that they made in their lives. The scene with Orla at her retirement party and her speech brougt tears to my eyes. Wonderful ending. Bittersweet. Ony from the BBC. I wish American TV would watch and learn! Thank you. Have just watched the final episode here in New Zealand. Came across the series one Sunday night on a little known free view station here. I’m not sure if I picked it up on the second or third episode, but became hooked immediately. I don’t recall seeing any previews, so suspect a lot of people in New Zealand didn’t even know it was on. A great shame, as I think it’s the best drama series I’ve seen for years. Absolutely gripping. Loved the characters, but especially loved the historical events brought to life. Episode 5 saw Princess Diana bringing Prince William out of the maternity home – really brought back memories. Well done BBC. More please!